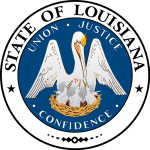 The Louisiana Living Will form is representative of US statutes §§1299.58.1. to 1299.58.10 i. It Allows a patient, also referred to as a principal, to legally choose the medical treatment they get when unable to make these choices at that particular time. This living will document requires two witnesses to sign it if it is to be classed as legally binding. 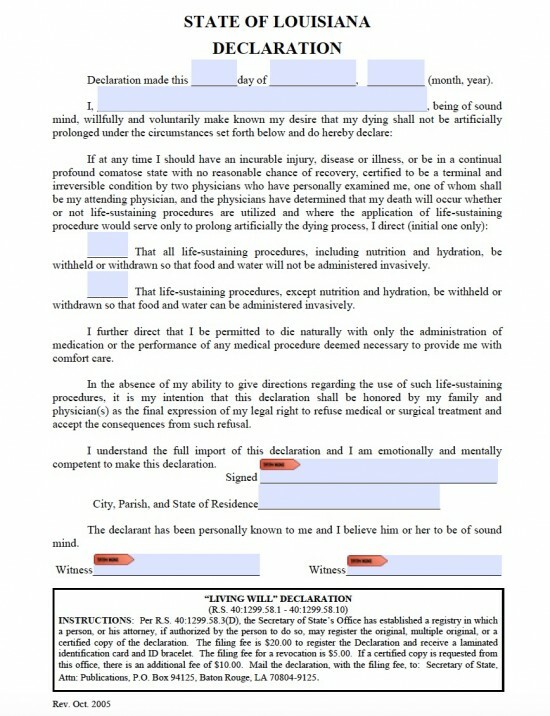 The whole document will become invalid if the principal is found to be pregnant with the interests of the unborn infant being taken into consideration. The principal must carefully read this document and then complete the relevant blank fields. The principal must decide upon any type of life sustaining treatment. Initial to state all life sustaining procedures will be withdrawn or withheld. Initial to state that all life sustaining procedures, except for artificial hydration and nutrition, will be withdrawn or withheld. The details of those persons declaring this Living Will must be entered. City/Parish and State of residence.